You know how some naysayers still like to dismiss Twitter as nothing more than a time wasting website where people talk about the sandwich they’re eating? Here’s another rebuttal for them. 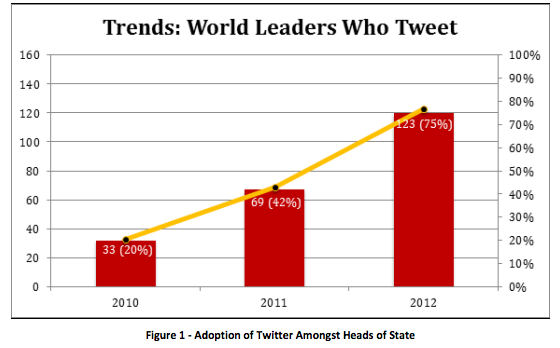 In terms of followers, the study found that US President Barack Obama is by far the most watched world leader on Twitter, with 25 million followers. Coming in at number two? Hugo Chavez of Venezuela, with 3.5 million followers.